A recent article in the New York times boasts St. Maarten as a one stop shop for Caribbean destinations. Titled: 36 hours in St. Maarten, The article offers quite an impressive list of things to cram into 36 hours. If you’re planning a trip and could use a few great ideas, or if you’ve already been and you want to see if the list checks out, take a look at the article. St. Maarten is proving to be one of the premiere destinations in the Caribbean. PHILIPSBURG, St. Maarten (Aug. 3, 2010) – As a result of the rebranding efforts of the St. Maarten Tourist Bureau, the Dutch island has increase its tourist arrivals by 7.9% for the first quarter and 2.1% in the first 6 months of 2010 versus 2009. The branding campaign, launched last November, was created by the island’s advertising agency, Tambourine and promoted by KTCpr, St. Maarten’s public relations firm. “We attribute our first quarter growth to KTCpr and Tambourines’s marketing strategies which were designed to coincide with the peak winter travel season, while capturing the feelings of the experience that visitors elicit during their stay in St. Maarten,” said Regina LaBega, director of tourism for the St. Maarten Tourist Bureau. The first quarter of 2010 also saw a boost in hotel occupancy by 5.7%. The average timeshare occupancy during the first three months was 83.3%. Cruise passenger arrivals for the first quarter totaled 542,012, a slight increase from 2009’s 541,023. Between January and March 2010, St. Maarten’s total air arrivals reached 160,908, up from 149,065 in 2009. U.S. visitors accounted for 47.5% of the total air arrivals at 76,430. St. Maarten is truly a unique island in several ways. It is the smallest island in the world to be shared by two nations, the Netherlands and France, creating a European-influenced vibe with a Caribbean flair. 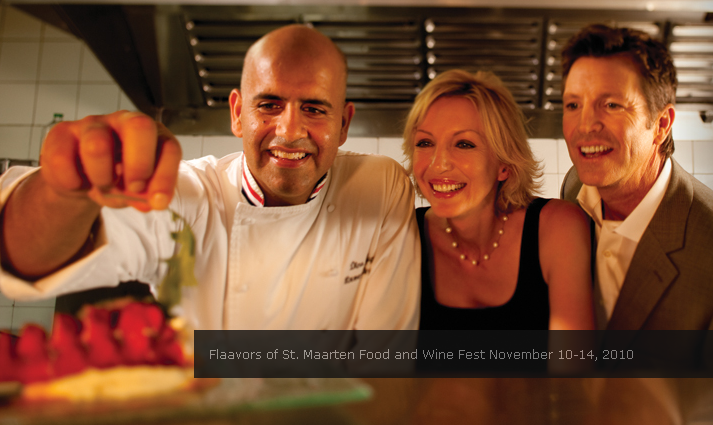 St. Maarten is also the culinary capital of the Caribbean with an eclectic array of elegantly-perfected culinary fusion to keep “food lovers” returning each year. And with more than 300 restaurants, the island has tastes to satisfy every palate and pocketbook. Located at the northern end of the Lesser Antilles, the island’s 36 square miles has 37 breathtaking beaches and is home to many historical and family-oriented attractions including the vastly abundant treasure of rare animal and plant species at the St. Maarten Zoological and Botanical Garden. Unique attractions include the historic Fort Amsterdam, the St. Maarten Museum, and the picturesque and symbolic Mount Concordia, where the Treaty of Concordia was signed more than 350 years ago to promote peaceful coexistence of two cultures on one island. The Dutch capital of Philipsburg offers duty-free shopping with bustling city atmosphere in the heart of the Caribbean, while nightlife activities provide endless entertainment with 14 casinos and numerous nightclubs. During the day water sport enthusiasts can take full advantage of the island’s scuba diving and snorkeling facilities which are located throughout the island. The island boasts a wide array of marine biodiversity and unique underwater dive sites that include the H.M.S. Proselyte, a notable British frigate which sank in St. Maarten’s waters since 1801. Accommodations are varied with many designed to exceed the expectations of even the most discerning traveler and include elegant private villas, family oriented resorts, quaint cottages and luxury spa resorts. Air service is available to Princess Juliana International Airport from numerous U.S. and Canadian cities as well as from Europe, South America and the Caribbean. Find us on Facebook at http://www.facebook.com/VacationStMaarten and follow us on Twitter at http://twitter.com/StMaartenTravel. PHILIPSBURG, St. Maarten (July 13, 2010) – The St. Maarten Carnival Development Foundation (SCDF) has embarked on a “Save The Date” campaign to promote the 2011 St. Maarten Carnival. “Carnival lovers should mark their calendars for April 25 – May 2, 2011 with several pre-Carnival events scheduled during weekends from March 19 – April 2, 2011,” said Erno Labega, Public Relations Officer for the SCDF St. Maarten’s Festival Village turns into the largest open-air restaurant in the North Eastern Caribbean during Carnival featuring several food booths which are open 24 hours a day offering a variety of local and international cuisines as well as a hotspot for all major concerts. 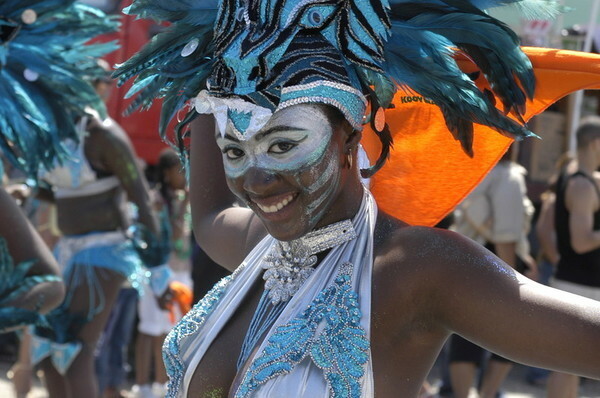 For Carnival 2011, visitors can expect international shows with renowned artists, local cultural shows as well as the colorful and vibrant Grand Carnival Parade which spans two days. The line-up of artists and exact dates for the parades and other events will be announced after the summer holidays. For more information on Carnival visit http://www.VacationStMaarten.com or find us on Facebook by searching “Vacation St. Maarten” and follow us on Twitter at http://twitter.com/StMaartenTravel. Find us on Facebook by searching “Vacation St. Maarten” and follow us on Twitter at http://twitter.com/StMaartenTravel. For more information, visit www.VacationStMaarten.com.